PART NUMBER: C43264. & DAIMLER DS420. 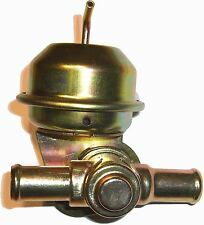 HEATER VALVE. PART NUMBER:C41051. XJ12 SERIES 2 & 3. XJ6 SERIES 2 & 3. 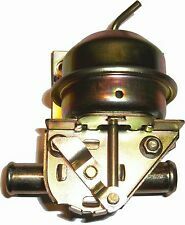 HEATER VALVE WITH BRACKET. PART NUMBER:CCC4915. JAGUAR DAIMLER. XJ12 SERIES 2 & 3. XJ6 SERIES 2 & 3. Daimler 2.5 V8 / V8 250. POWER STEERING BELT. 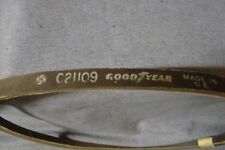 Genuine Jaguar Belt Made by GOODYEAR. PART No: C24102. JAGUAR DAIMLER MK10 420G DS420 LIMO. JAGUAR / DAIMLER. BRAKE VACUUM TANK. PART NUMBER:CBC2536. XJ40 (VIN 500001 TO 667828). 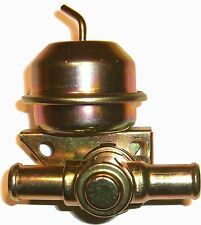 HEATER VALVE. Montare con DAIMLER DAIMLER aria condizionata 31-2022 4L. DAIMLER DAIMLER asciugacapelli, aria condizionata 4 31-2022 ltr 09/1994-09/1997. DAIMLER (X300) sei. aria automatica. Asciugatrice, aria condizionata. Händler Art.-Nr. : 97707J-108. Plattform: XJ81. Produktgruppe: Klimaanlage & Heizung. Jaguar XJ40 XJ81 Klimasensor W961555P V12 6.0 XJ 40 81 00034J-115. Jaguar XJ40 XJ81 Sensor Klappengehäuse Satz V12 6.0 XJ 40 81 00034J-112. PART No: C36471. JAGUAR DAIMLER XJ6 & XJ12 SER1 / 2 & 3. JAGUAR / DAIMLER. 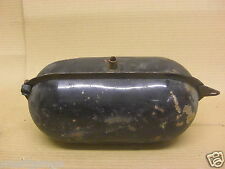 BRAKE VACUUM TANK. VALEO Essiccatore, Climatizzatore JAGUAR XJ DAIMLER 508902. 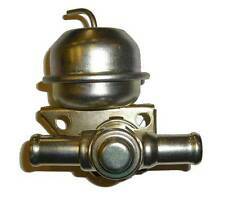 VALEO Essiccatore, Climatizzatore JAGUAR XJ XJSC XJS DAIMLER 2.8 508900. Non ho un libro di parti di 3.8. Hanno lo stesso aspetto, ma si prega di confrontare vostro. Manufacturer Part Number C.25108. DAIMLER DAIMLER Dryer, air conditioning 31-2022 4 ltr 09/1994-09/1997. DAIMLER (X300) Six. Dryer, air conditioning. APEC BRAKE DISC & PADS KIT. BOSCH IGNITION & FUEL PARTS. BLUE PRINT TIMING BELT KIT. Händler Art.-Nr. : 97707J-012. Produktgruppe: Klimaanlage & Heizung. Plattform: XJ81. Jaguar XJ40 XJ81 Klimaleitung Satz V12 6.0 XJ 40 81 00034J-021. Jaguar XJ40 XJ81 Klimasensor W961555P V12 6.0 XJ 40 81 00034J-115. SERIES 1 XJ6 & XJ12. JAGUAR / DAIMLER. 420 / SOVEREIGN. AHEATER VACUUM CHECK VALVE. Can't find what you need?. IN USED CONDITION. OE Quality Cabin Pollen Filter. 1 x OE Quality Cabin Pollen Filter. Jaguar Daimler XF. This OE Quality Cabin Pollen Filter fits the following vehicles. Fits Vehicles With Four Wheel Drive, Four Wheel Drive, Front Wheel Drive, Rear Wheel Drive. PART No: CAC2526. SERIES 2 XJ6 & XJ12. JAGUAR / DAIMLER. AIR CONDITIONING VACUUM TANK. Jaguar Daimler XE. Premium OE Quality Cabin/Pollen Filter. 1 x Premium OE Quality Cabin/Pollen Filter. Providing premium car parts for all makes and models at affordable prices. This Premium OE Quality Cabin/Pollen Filter fits the following vehicles. PART No: BD34695. SERIES 1 XJ6 & XJ12. JAGUAR / DAIMLER. AIR CONDITIONING VACUUM TANK. Jaguar Daimler X-Type. OE Quality Cabin/Pollen Filter. 1 x OE Quality Cabin/Pollen Filter. This OE Quality Cabin/Pollen Filter fits the following vehicles. Fits Vehicles With Four Wheel Drive, Fits Vehicles With Front Wheel Drive. Jaguar Daimler XJ. Premium OE Quality Cabin/Pollen Filter. 1 x Premium OE Quality Cabin/Pollen Filter. Providing premium car parts for all makes and models at affordable prices. Fits Vehicles With Four Wheel Drive, Fits Vehicles With Front Wheel Drive, Fits Vehicles With Rear Wheel Drive. Verbaut in Fahrzeugen W 126. Suitable for cars W 126. Anhängeschild A 126 584 15 21. Label A 126 584 15 21. Verbaut in Fahrzeugen FIN 126. Suitable for cars VIN 126. Aufkleber A 108 835 00 88. Label A 108 835 00 88. Verbaut in Fahrzeugen FG 126. Suitable for cars VIN 126.